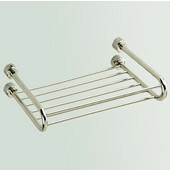 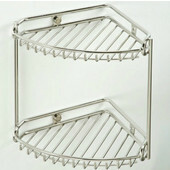 Tivoli Collection Soap Racks from Empire come in several configurations to keep your bathroom organized. 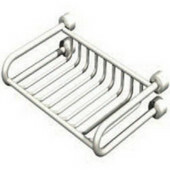 Choose a soap rack, a soap rack with paper holder and lid, a corner basket, a multipurpose rack, a towel rack and rail, a 2-tier rack or a 2-tier corner rack to store all your essential bathroom items. 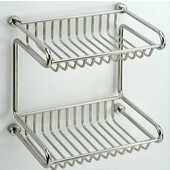 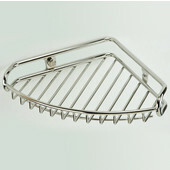 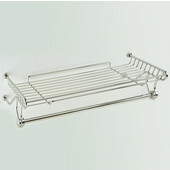 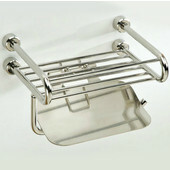 The racks are made of stainless steel with a Mirror Polish finish and feature a sturdy wire basket design. 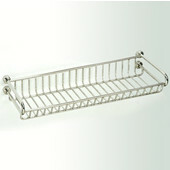 The wall mounted racks come with mounting hardware and ship via UPS.